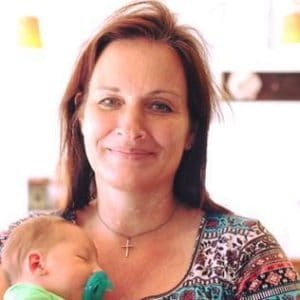 July 22, 2018 0 comments on "Lavender Iced Tea"
A couple of weeks ago I had the opportunity to visit a local lavender farm. It was a really fun experience, and with the lavender I brought home I have already made lavender lemonade and lavender blueberry jam. 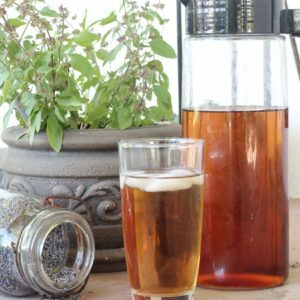 While looking for more lavender recipes, I found a recipe for lavender iced tea and had to give it a try. 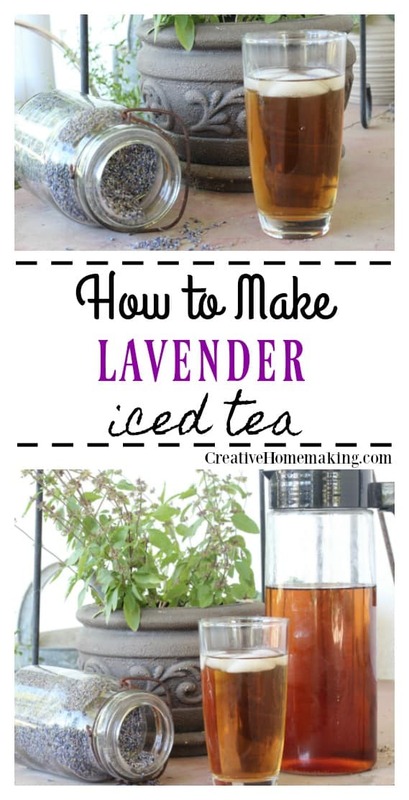 Lavender iced tea is super easy to make. It is just iced tea with lavender added for flavoring, and it tastes amazing. If you don’t want the caffeine, then just buy decaffeinated black tea for making iced tea. That is what I use and it works great for making iced tea. If you have fresh lavender, it doesn’t take very long to dry it to use it in your favorite lavender recipes. Just rubberband a bundle of lavender about the diameter of quarter and hang upside down for about week. Where I live it’s in the 90’s right now. I left my bundles outside in the shade for a couple of days and they were completely dry in about 3 days. After the lavender is dry gently rub the lavender off the stems with your fingers and store in an airtight container. Discard the stems. 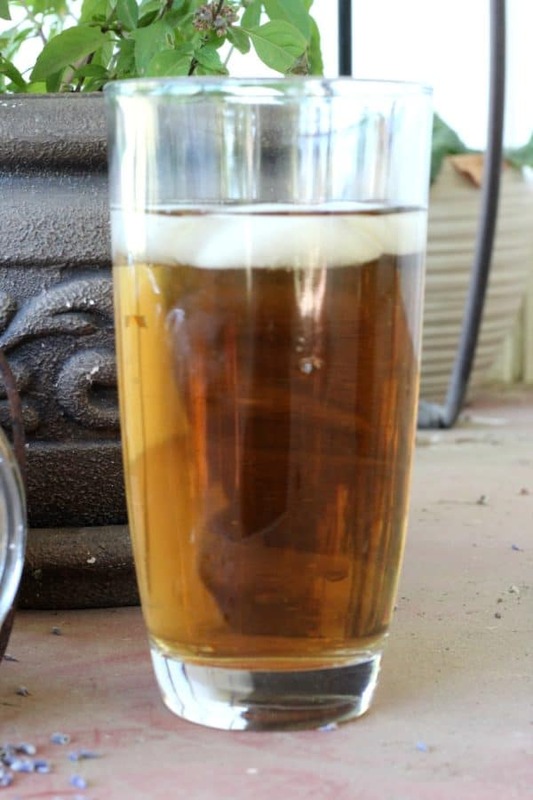 This recipe makes a half gallon of iced tea. The sweetener is optional. If you want unsweetened tea just leave the sugar or honey out. Boil some water in your tea kettle and pour about 4 cups of water into your serving pitcher. Place the tea bags in the boiling water. Add the sugar or honey and the lavender to the boiling water and let it set for about 20 minutes to infuse the flavor of the lavender into the boiling water. After the tea has set for 20 minutes, remove the lavender and fill the remainder of the half gallon container with water and stir. If you don’t have access to fresh dried lavender you can buy dried lavender on Amazon to use in all your favorite lavender recipes. There are a couple of ways you can add the lavender flavor to your tea. The first way is to just stir the dried lavender into the tea and when you are ready to remove the lavender strain the tea through a fine mesh sieve to remove the lavender. A second way to add the lavender is to place it in tea ball strainer you use to steep homemade tea. That is what I used, I just added the dried lavender to the tea strainer and put it in the boiling water. Then when the tea is done you just take the strainer out. If you have a lot of dried lavender you want to use to make tea, another way to prepare it for making tea is to add it to disposable tea bags. You can buy really inexpensive disposable tea bags on Amazon that you place your herbs in and just staple them shut like a tea bag you would buy from the store. I use these disposable tea bags all the time for making homemade teas from all different sorts of dried herbs. This way you can make up a bunch of tea bags ahead of time and then just throw in the lavender tea bag with the regular tea bags when you are making the tea. I think I am going to make up some of these for next time, they work really well. Like this recipe? Make sure you try my recipe for lavender lemonade.